Tom Petty, the rock musician whose hits included American Girl and I Won’t Back Down, has died in California aged 66 after suffering cardiac arrest. 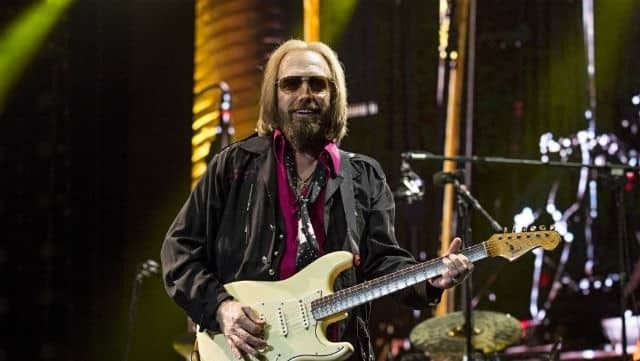 Petty was reportedly rushed to the UCLA Santa Monica hospital after being found unconscious in his Malibu home, but could not be revived. “We are devastated to announce the untimely death of our father, husband, brother, leader and friend Tom Petty,” his manager Tony Dimitriades said on behalf of the family. The singer-songwriter and guitarist gained fame in the late 1970s with his band the Heartbreakers, who were seen as an integral part of the heartland rock movement. The Rock and Roll Hall of Fame, which inducted Tom Petty and the Heartbreakers in 2002, praised them as “durable, resourceful, hard-working, likeable and unpretentious”. Petty was originally part of country rock band Mudcrutch, which gained regional popularity in Florida but did not attract a mainstream audience. They split after Petty and other members joined the Heartbreakers, later reforming in 2007. In 1977 the new outfit gained success with the song Breakdown, but it was their second album You’re Gonna Get It! that became a Top 40 hit. Throughout the 80s, the band enjoyed major hits including You Got Lucky and Change of Heart, collaborating with Bob Dylan as well as Stevie Nicks. Petty continued to work with Dylan as part of the Traveling Wilburys, alongside Roy Orbison, George Harrison and Jeff Lynne. The band had been on a 40th anniversary tour since April that finished last week at the Hollywood Bowl. In an interview with Rolling Stone in December, he suggested it would probably be his last. 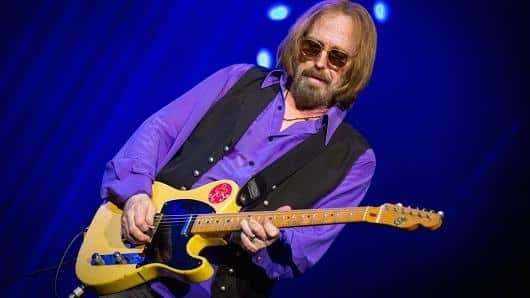 Petty was outspoken in his protection of the rights of artists, taking issue with record companies on a number of occasions about what he believed to be unjust practices. Earlier this year he was named MusiCares person of the year for his “career-long interest in defending artists’ rights” as well as for his charitable work with homeless people in Los Angeles. Throughout his career, he sold more than 80m records worldwide. Florida-born Petty caught the rock’n’roll bug after he was introduced by his uncle to Elvis Presley, who was shooting the picture Follow That Dream on location in Florida in 1960. He said he began working on music in earnest after seeing the Beatles on The Ed Sullivan Show in February 1964. He would speak of being consumed by rock music since childhood, to the point where his father, whom Petty would later say beat him savagely, thought he was “mental”. A 2015 biography of the singer, Petty: The Biography, revealed his heroin addiction in the 1990s. Author Warren Zanes said in an interview with the Washington Post Petty succumbed to the drug because he “had encounters with people who did heroin, and he hit a point in his life when he did not know what to do with the pain he was feeling”. Petty also suffered from depression, channelling his pain into 1999’s Echo, during which he was also dealing with a divorce. In 2002, he married Dana York and said he had been in therapy for six years to deal with depression. “It’s a funny disease because it takes you a long time to really come to terms with the fact that you’re sick – medically sick, you’re not just suddenly going out of your mind,” he said at the time.